Pat Crerand Ticket. 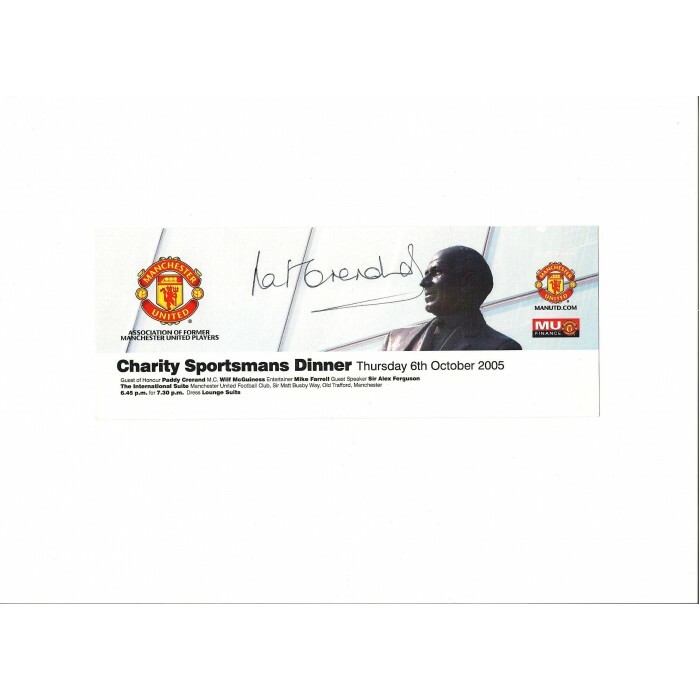 This is a ticket to the Association of Former Manchester United players (AFMUP) charity sportsmans dinner held on 6th October 2005. The dinner was held at Old Trafford and was attended by many former Manchester United players. The guest of Honour was Paddy Crerand the former legend has personally hand signed this ticket for me. Crerand played 304 leagues games for United between 1963 and 1971, scoring 10 goals. Pat Crerand was part of the Manchester United team that won the European Cup in 1968.